"Recreativa" tourist agency, Put Ribnjaka 9, 21310 Omiš (hereinafter called "the Agency"), guarantees the authenticity of the displayed visual and written data related to the accommodation unit characteristics in its offer available at www.recreativa.com.hr as well as the authenticity of the conditions of the same offer. The agency is under obligation to ensure the accommodation in the reserved accommodation units in the reserved period, except in the case of force majeure (war, riots, strikes, terrorist attacks, sanitary problems, natural disasters, official authority interventions, etc.). By renting one or more accommodation units from the offer of the Agency the client enters a legal relationship with the Agency, and confirms that he/she accepts the General Terms And Conditions of Accommodation Reservation Service (hereinafter called "General Conditions"), which are presented here. All the details stated in the offer represent legal obligation of the client as well as the agency. The General Conditions represent the basis for settlement of any possible dispute that may arise between the client and the Agency. The client is advised to read the General Conditions carefully prior to any advance payment. The Agency is a provider of private accommodation, hotel accommodation and lighthouse accommodation booking services. A - apartment, a self-contained accommodation unit which consists of one or more rooms, its own kitchen, and at least one bathroom. There can be one or more accommodation units in the house: apartment, studio or room. There is usually one self-contained accommodation unit in the house where the owners or the owner's family live. AS - studio, it is a self-contained, small apartment, which combines living room, bedroom and kitchen into a single unit or with the sleeping facilities situated on the gallery. It has its own bathroom. There can be one or more accommodation units in the house: apartment, studio or room. There is usually one self-contained accommodation unit in the house where the owners or the owner's family live. S - bedroom, an accommodation unit with sleeping facilities. It usually has its own bathroom, but sometimes it can have a shared bathroom. Sometimes there are shared cooking facilities which is often charged extra but usually it is not possible to prepare one's own meal, although, in such cases some owners offer the option of breakfast, half board or full board which is paid additionally. There is at least one more accommodation unit in the house: apartment, studio or room. There can be one or more accommodation units in the house: apartment, studio or room. There is usually one self-contained accommodation unit in the house where the owners or the owner's family live. K - house, an accommodation unit encompassing the entire facility. It includes one or more rooms, its own kitchen and at least one bathroom. There are neither other clients nor owners in the house. The lower case letter next to the numbers in the code of an accommodation facility means that the facility contains several accommodation units regardless of the fact whether the units are included in the offer or the owners live there. For example, A-456-c means that there are at least two more apartments in the same house (apartments 'a' and 'b'). The numbers in brackets indicates the capacity of the accommodation unit, i.e. the number of beds. The first number indicates the number of basic beds and the second number the number of extra beds. For example A-456-c (4+2) means that the apartment 'c' in the house 456 has 4 basic and 2 extra beds. One room can contain maximum 2 basic beds. All other beds in the room are considered as extra beds. All beds in kitchen, dining room or living room are also considered as extra beds. The extra beds in the accommodation units from our offer are usually standard beds, less often sofa beds, and very rarely folding beds. The position and the type of extra beds can be seen in the photos and in the ground plan of the selected unit. Once the client has chosen the preferred accommodation the client can make an official request for the reservation. The request for the reservation is done by filling in a simple form available on the Agency web site, or directly at the Agency or at any other partner agencies of the Agency appointed to sell the services of the Agency. During the application process the client has to provide all the necessary information required in the application form when filling in the online application, i.e. the client has to submit all the required documents if the client is making a reservation of a unit at the agency personally or at any other partner agency appointed to sell the services of the Agency. The client voluntarily supplies his/her personal information. Personal information is necessary for the realization of the reservation and it will be used for further communication with the client. The Agency will not provide the personal information of the client to a third party, except for the purpose of realization of the reservation. The client allows the Agency to use his/her personal information for the purpose of marketing. The payment can be made by bank transfer (the client bears the bank charges) or by credit card (the agency bears the bank charges). The client who is required to have a visa before entering the Republic of Croatia cannot make the payment by credit card. When paying by credit card, the payer's account will be charged by the amount from the pre-invoice in kuna currency equivalent, calculated according to the Privredna banka Zagreb exchange rate. There is a possibility of a minimun exchange rate difference, and in that case the guest's account will be charged by that difference. The client must make the payment of 50 % of the total reservation amount to confirm the reservation. - on the day of arrival at the Agency. In specific cases (for instance, when the total reservation amount does not exceed 300 Euros or the client is a person required to have a visa before entering the Republic of Croatia) it is necessary to make the whole payment (100 %) to confirm the reservation. If the client is under obligation to pay the total amount of reservation to the Agency (in cases when it is not possible to pay the rest of the amount directly to the owner of the accommodation or on the day of arrival at the Agency, and when booking hotel and lighthouse accommodation) and there are less than 30 days till the beginning of the booked period, the client is under obligation to pay 100% of total reservation amount upon booking confirmation. The client will be informed of the exact amount of the deposit payment and the payment method when receiving the pre-invoice. If the transferred amount is not received on the bank account of the Agency prior to the arrival of the client, the client is under obligation to send the Agency a signed statement of the bank transaction made (SWIFT) with the attached copy of the client's ID card or passport. When the statement is received, the Agency will send the voucher to the client. The prices advertised on the Agency's website vary depending on the accommodation facility. The prices are specified for each accommodation unit. Prices are quoted in Euros. The equivalent value in Kuna of the paid services will be stated on the invoice as well. The advertised prices for hotel accommodation and lighthouse accommodation include only those services stated in the chosen accommodation unit offer. The advertised prices for the private accommodation include: daily rental of the accommodation, bed linen, equipped kitchen with dishes and cutlery (except when the accommodation unit booked is a room without the use of kitchen) and gas, water and electricity expenses (except for 'Robinson Crusoe style' type of accommodation). Additional services are services that are provided in the accommodation facility but are not included in the rental price (such as food service, use of the washing machine, boat rentals, etc.). The client pays for them additionally and only if he/she uses those services. If the Agency is in the possession of the service price list it will be advertised on the Agency website. If the Agency is not in the possession of service prices, the prices are then agreed on directly with the service provider. Most of the additional services must be paid directly to the service provider, but some can be paid upon booking confirmation. While most services are optional, there are some mandatory services (e.g. final cleaning of the accommodation, guest registration, in some cases special transportation to the accommodation facility etc.). The availability of the accommodation may depend on additional services (such as keeping pets, the use of additional beds, etc. ), and since the additional services may not always be available (e.g. 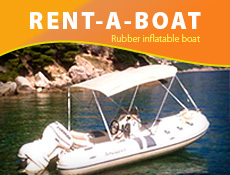 boat rental, the use of the Internet, etc. ), the client is obliged to report preferred additional services when making the reservation. In some cases the client will have to pay a cash deposit directly to the service provider on the arrival at the accommodation unit. This deposit is a guarantee for the service provider that the client will not cause any damage to the accommodation unit or its contents. On the day of departure the entire deposit amount will be refunded to the client when the service provider agrees there has been no damage caused to the accommodation unit. The client will be informed about all the mandatory payments, the exact prices for the compulsory services and possible cash deposits, as well as the payment methods, upon receiving the pre-invoice. The Agency reserves the right to change the prices on its website in case that the service provider changes the prices of the accommodation and/or of the additional services. If the price of a certain accommodation unit changes after the client has applied for it and before the deposit payment, the Agency is under obligation to inform the client of the change and send the client another calculation upon the approval. In case that the price changes after the deposit payment has been made, the Agency guarantees that the rest of the amount will be paid according to the calculation based on the initial price of the accommodation unit. If the Agency or the service provider reduces the price of the accommodation after the client confirmed the reservation, the client is not entitled to a new, lower price. The contracting parties agree that the Agency reserves the right to increase the prices before the beginning of the accommodation service in case that the currency exchange rate has increased more than 5 %, or in case of the price increase of other expenses affecting the total price of the service, of which the Agency did not know and could not have known. The client reserves the right to cancel the reservation if the increase of the agreed price is more than 10 %. In this case the client can claim a refund of the amount paid until that point but is not entitled to any additional compensation. The refund will be paid to the client's bank account, the bank charges being borne by the agency. - Four nights - the advertised prices increase by 20,00 %. - Three nights - the advertised prices increase by 33,33 %. - Two nights the - the advertised prices increase by 50,00 %. - One night the - the advertised prices increase by 75,00 %. The offered accommodation units are classified according to the official categorization of the local tourist board at the time of the work permit issuance, and according to the current conditions of the accommodation unit found upon the inspection of the Agency personnel. The standards of accommodation, food, and other services of different places and countries vary and are not suitable for comparison. The information the client receives at the accommodation providing place does not put the agency under obligation more than the information published on the agency website. The arrangement of rooms/apartments in hotels is determined by the hotel reception. If the client did not specifically contract a room/apartment with special features, the client will accept the room/apartment allocated to him/her in accordance with the voucher. The agency guarantees that a kitchen facility in every accommodation unit is equipped with corresponding dishes and cutlery required for the number of the people staying in the unit. Upon client's arrival accommodation unit must be clean and tidy with clean bed linen. Bed linen are being changed on weekly basis for clients staying longer than one week. The service provider is under no obligation to provide towels. The time of arrival at the accommodation unit is after 2:00 PM, and the time of departure on the last day of the reservation is no later than 10:00 AM. 4 hours are needed by the accommodation service provider for cleaning and preparing the accommodation unit for the next client. The keys are given to the client by the service provider personally at the accommodation unit. The agency is entitled to suggest a change of a reserved accommodation unit or cancel it completely or partially if unexpected circumstances which cannot be avoided or removed (e.g. sanitary problems, etc.) occur prior to or during vacation period. If these circumstances occurred at the time of advertising and selling the accommodation arrangement, the agency would have considered them a legitimate reason not to advertise the offer and consequently not to take applications and reservation confirmations for those accommodation units. If the agency is in position to offer the client an alternative accommodation, the change of the reserved accommodation can be made only with the client's approval. If the alternative accommodation unit price is lower than the accommodation unit reserved by the client, The Agency is under obligation to refund the price difference to the client. In that case the Agency bears the bank charges. If the alternative accommodation unit price is higher than the accommodation unit reserved by the client, the Agency is entitled to charge the client for the price difference. The agency is under obligation to inform all the clients who have confirmed their arrival by making a reservation payment of any changes in the reservation or cancellation of the reservation immediately upon the occurrence of the unexpected circumstances. If the Agency is not able to find an alternative accommodation, it is under obligation to refund the amount paid for the reservation to the client. The Agency bears the bank charges and the refund amount will be increased for the bank charges that the client had already paid. The client is obliged to send the Agency a bank statement with the amount of the bank charges paid. This article applies only if the unexpected circumstances are not caused by a case of force majeure, and they concern reserved accommodation facility only. If the change or the cancellation of the reservation is due to a case of force majeure, the Article 11. is applied. The client is entitled to a change of a confirmed reservation only if the change is accepted by the service provider. The changes may include: change of the contractor, booked date, number of persons, their age and type of basic or extra services booked. The request for a change of the reservation must be submitted in a written form (by e-mail, fax or by mail). The client agrees to pay the flat sum of 30 Euros per change (per new invoice). If the client wants to cancel the reservation, the client must submit the request in written form (by e-mail, fax or by mail). - For a cancellation occurring up to 29 days before the start of using the service booked the Agency charges 30 % of the total price of the accommodation booked on behalf of handling and administrative charges. The rest of the amount will be refunded to the client at the expense of the payee. - For a cancellation occurring from 28 to 22 days before the start of using the service booked the Agency charges 40 % of the total price of the accommodation booked on behalf of handling and administrative charges. The rest of the amount will be refunded to the client at the expense of the payee. - For a cancellation occurring from 21 to 15 days before the start of using the service booked the Agency charges 60 % of the total price of the accommodation booked on behalf of handling and administrative charges. The rest of the amount will be refunded to the client at the expense of the payee. - For a cancellation occurring from 14 to 8 days before the start of using the service booked the Agency charges 80 % of the total price of the accommodation booked on behalf of handling and administrative charges. The rest of the amount will be refunded to the client at the expense of the payee. - For a cancellation occurring from 7 to 0 days before the start of using the reserved service the Agency charges 100 % of the total price of the accommodation booked. If the client does not show up at the destination or cancels the arrangement after the beginning of the service, the client is not entitled to any refund. If the client cancels the reserved accommodation with one or more approved discounts, the discounts will not be included into cancellation costs, and the cancellation cost will be charged for the full amount of the reservation. If the actual costs are higher than presented above, the Agency reserves the right of charging all the actual costs. The specified cancellation charges also apply in case when booking details have been changed and the service provider does not accept the possible change of the reservation, with respect to the transfer of the amount already paid by the client to a new account. If the client wants to change to an accommodation unit of a different service provider it will be treated as a booking cancellation. In that case the client will be charged cancellation fee on the scale shown above and if there is a difference in price it will be transferred to the new client's reservation. The Agency will offer the client a 10% discount (10 % od the amount of the cancelled reservation) on the new reservation. If the client, upon cancelling the reserved accommodation unit, finds a new client for the same accommodation unit, the Agency charges only the costs caused by the change. If the reservation is cancelled due to death of the client (the contractor) or of a member of his/her immediate family, the Agency will charge the minimum cancellation fee (30 %). This regulation is applied if the reservation is cancelled due to death of a member of the group or a member of his/her immediate family (spouse, brother, sister, parent or child), in case that the Agency disposes of information that this person is a group member. The client must provide the Agency with a death certificate, and if necessary with a statement of family relationship between the deceased and the client, or member of the group. When the correct amount to be refunded to the client is determined, the Agency will make the payment to the client's bank account. Bank charges will be borne by the client. If the cancellation is due to any other reason, the client will be charged the cancellation fee on the scale shown above depending on the date when the cancellation notification was received by the Agency. If the client does not show up at the accommodation facility till 8 PM on the day of arrival and does not inform the Agency or the service provider about the delay, the reservation will be treated as cancelled on the day of arrival and the cancellation fees will be charged on the scale shown above. In case the accommodation unit has been rented to another client by service provider in the meantime, no complaint by the client will be accepted and the Agency is not under any obligation to refund the amount the client paid. The Agency is responsible for the execution of services and selection of the service providers. The Agency must also concern over the rights and interests of the client in accordance with the good practice in tourism. The Agency is responsible to assure that the client receives all the services he/she has booked, and is therefore liable to the client for a possible non-provision of the services or a part of the services the client paid for. The Agency is not responsible if the non-provision of the service is due to a case of force majeure in the client's country or in the country where the service is to be provided (war, riots, strikes, terrorist attacks, natural disasters, official authority interventions, etc. ), which results in preventing the client to stay in the booked accommodation unit. In this case the client is not entitled to a reimbursed of the deposit amount. This amount cannot be used as a deposit for a replacement accommodation unit that the client would like to book at another destination or on other dates. - to obey the house rules of the accommodation unit booked, and cooperate in good will with the service providers. If the client does not obey the above stated regulations, the client can be denied of accommodation service provision and in this case the client is not entitled to claim the compensation or the refund of the paid amount. The luggage will be transported at the risk of the client, thus it is recommended to insure the luggage with an insurance company. The Agency does not hold any responsibility for loss or damage to luggage, nor for stealing of luggage or valuable items from the accommodation unit. The report of lost, damaged or stolen luggage is made by the client to the accommodation service provider (host) or to the nearest police station. The client reserves the right to complain in case of any incorrect photographs and information published on the site, i.e. published inaccurate information regarding the reserved accommodation unit, with exception to the situation when the current condition of the accommodation unit is in favour of the client. The client can also complain about cleanliness and filthiness of the reserved accommodation unit. The client is not entitled to complain about information advertised on the the Agency website that went unnoticed by the client, or about any facts that he was warned about by the the Agency staff. The client is not entitled to complain on any other grounds, including bad weather condition, the configuration and the cleanliness of a beach, the cleanliness and equipment of the destination, the cleanliness and the temperature of the sea, any other similar situation or event that may cause client's dissatisfaction, and is not in relation to the quality of the reserved accommodation unit (e.g. local water supply problem, sewage problem, crowds, theft or damage to personal property, etc.). Any justified complaint about deficiencies will be resolved on the spot, and if that is not possible, a replacement accommodation unit will be proposed to the client. If the service provider is not able to resolve the reported deficiencies, and the Agency cannot propose any alternative accommodation, the client will get full refund of the amount paid. The bank charges are borne by the Agency. The client is entitled to the refund amount no higher than the amount paid. The client is not entitled to claim compensation of material or non-material damage (such as bank charges for money transfer, telephone bills, gasoline costs, loss of time, stress, psychological damage, etc.). The complaint can be submitted on the day of arrival at the accommodation unit only. If the client arrives in the accommodation unit after 10 PM, the complaint will be considered only if it is submitted by noon on the following day. Any complaint submitted following the deadline will not be taken into consideration because the authenticity of the complaint is no longer credible. The Agency reserves the right to a 2 hours time period for responding to the complaint and to an additional period of 6 hours for resolving the complaint if the complaint is justified. The time between 10 pm and 8 am is not included in the stated periods. The complaint cannot be submitted by SMS, fax or by leaving message on the answering machine of the Agency. It can be submitted by phone only. This way the Agency keeps the audio record of the complaint and each conversation between the client and the Agency for the purpose of complaint resolution. By accepting these General Conditions, the client agrees that he/she is aware of the recording of all conversations with The Agency and is consent that the records can be used as a material proof in court if a legal action has to be taken. The complaint can be submitted to the Agency every day (including Saturday, Sunday and holidays) from 8 AM to 10 PM. If the client does not have a mobile phone at disposal, the contact with the Agency can be made by telephone of the service provider. If the contact cannot be established because all the lines were busy or there was no answer to the call, the client must retry to reach the Agency personnel, because any complaint submitted out the stated hours will not be taken into consideration. Once the Agency receives the client's complaint it will immediately undertake all the necessary action to resolve the complaint. The Agency will then verify the complaint circumstances (by contacting the service provider first) and will determine the validity of complaint within the next two hours. If the Agency does not respond within the period stated above (2 hours) the client claims the right to leave the accommodation unit. The agency is under obligation to refund the paid amount to the client, and the bank charges will be borne by the Agency. If the complaint is considered valid by the Agency, an additional period of 6 hours is required for resolution of the complaint. The client is under obligation to cooperate in good will with the Agency representative and the service provider to resolve the problem. If the client does not accept the proposed resolution adequate to the service reserved and paid, the Agency will not take any complaint subsequently submitted and is under no obligation to respond to it. If the valid complaint cannot be properly resolved, the Agency is under obligation to find an alternative accommodation. The criteria for comparison of the reserved accommodation unit and the alternative accommodation unit are the location and the price advertised on the Agency website. If the accommodation unit reserved is located on shore, the agency is under obligation to offer the client an alternative accommodation in the same Riviera or in the Riviera nearby. If the accommodation unit reserved is located on island, the Agency is under obligation to offer the client an alternative accommodation on the same island. The price of the alternative accommodation unit will be considered the same if it is equal to, or lower/higher up to 15 % of the reserved accommodation unit price. If the alternative accommodation price is lower than the reserved accommodation price the client is entitled to refund of the price difference. If the alternative accommodation price is higher than the reserved accommodation price, the price difference will be borne by the Agency. If the client does not accept the alternative accommodation (of equivalent location and price), the Agency will not take into consideration any complaint subsequently submitted and is under no obligation to respond to it. By accepting the alternative accommodation, the client waives all rights to claim a refund of the amount paid for the reserved accommodation unit. If the Agency does not resolve the client's complaint and does not provide any alternative accommodation within the given period (6 hours), the client reserves the right to leave the reserved accommodation unit. The Agency is then under obligation to refund the paid amount to the client and will bear the bank charges. If the Agency determines that the complaint is not valid, it will not undertake any actions to resolve the complaint. The client has a possibility to accept the decision and remain in the reserved accommodation unit on the previously defined terms and conditions, or request an alternative accommodation from the Agency in which case the client is under obligation to pay the full amount of the accommodation directly to the service provider. By deciding to remain in the reserved accommodation unit the client waives the right to claim a refund of the paid amount of money. If the client does not accept the decision of the Agency and wants to claim a refund of the paid amount of money, the client is not entitled to remain in the reserved accommodation. The client is under obligation to submit the complaint in written form (by e-mail, fax or mail) within seven days from the end of the booked period. Complaint submitted after the deadline or incomplete complaint (no photographs, missing information from reliable source etc.) will not be taken into consideration. The Agency is under obligation to issue a written answer to the duly submitted complaint within seven days after the complaint was submitted. The Agency has a right to extend this period for 14 more days the most to gather information and verify the complaint details with the service provider. Until the answer is being issued, the client waives the right to use the mediation services of another person, UHPA arbitration, court or to give out information to the media. If the client does not obey this regulation and thus breaches the procedure, the Agency reserves the right to claim compensation of damage caused by such an action on the client's side regardless of the grounds of the complaint. If the client is not satisfied with the current provided service and therefore decides to leave the accommodation unit and individually finds an alternative accommodation without informing the Agency or without waiting for the complaint to be resolved or an alternative accommodation to be provided within the settled period of eight hours the client is not entitled to a refund of the amount paid or to claim compensation, regardless of the validity of the complaint. The parties will attempt to settle any dispute agreeably. If the parties cannot agree to settle the dispute, they accept the jurisdiction of the Split court in the dispute settlement. Everything not specified in these General terms and conditions, is subject to the laws and jurisdiction of the Republic of Croatia.